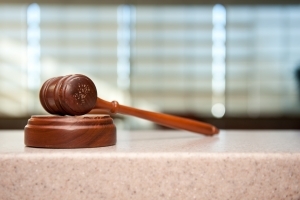 What Is the Difference Between a Conviction and Adjudication Withheld in Florida? The judge can either adjudicate guilty or withhold adjudication. When you are arrested for a crime, different things can happen. Let’s use a Jacksonville theft case as an example. You were arrested for petit theft in Jacksonville FL. You were given a date to appear at the Duval County Courthouse. Before you go to court, your Jacksonville lawyer will likely speak with the state attorney about your case. The state attorney could decline to prosecute your case. She never files the charges and your case is dismissed. She could file the charges and then drop them. If the state attorney files the charges and does not drop them, your Jacksonville criminal attorney may negotiate a plea deal. If you are not guilty, you may go to trial before the judge or jury. The adjudication comes into play when you are sentenced. You are sentenced as part of the plea deal or if you are found guilty after a trial. Adjudication withheld is always better than an adjudication. Adjudication means a conviction. The judge is adjudicating you guilty of the crime. That means that the judge is convicting you of the crime. If the judge withholds adjudication, you are technically not convicted of the crime. It is important to remember that if you were arrested for a crime, it is still on your record. It does not matter that adjudication was withheld. If your charges were dropped, you will need to expunge your Florida criminal record. If adjudication was withheld, you need to seal the Florida record. If you were convicted of the crime, you are not eligible to seal or expunge your Florida criminal record. Take the same example as above, but imagine that you were arrested for grand theft. Jacksonville grand theft is a felony under Florida law. The distinction between adjudication of guilt and adjudication withheld is very important when it comes to felonies. If you are adjudicated guilty of a felony crime, you are convicted. This means that you are a convicted felon. With a felony conviction, you loose many of your civil liberties. The rights that you will loose include, but are not limited to, the right to vote, serve on a jury, possess a firearm, and hold certain occupational licenses. You want to avoid a conviction and adjudication of guilt. If the judge finds you guilty and does not withhold adjudication, you will be conviction of the crime. This is why it is important to hire a Jacksonville criminal attorney. Call 20 Miles Law at (904) 564-2525 to speak with a Jacksonville attorney about your case.